This article contains news on the Season Pass Packs set to be released on May and June! We will be updating this as we go along. With less than a month before its set release, Nintendo’s Fire Emblem Echoes has a lineup of DLC Packs for those who want to experience the rest of the remake’s content. Although each pack has its own release date, expect to find at least 2 additional content. Echoes expands further from the story in comparison to its original Gaiden with Dungeon crawling. Players will get to experience this new mechanic in its full glory by exploring the new DLCs focused heavily on them. Whereas those who want more of the lore should anticipate the DLC pack that will come out by June. The first revealed pack Fledgling Warriors is set to be released on May 19, showcases 3 added contents. It allows players to explore a brand new dungeon The Astral Temple, and comes along with 2 fresh maps: “Band of Bandages” and “Wretches and Riches.” This pack is suited for players who like to collect additional EXP, items and earn in-game currency. Following closely is the Undaunted Heroes, a DLC pack that comes out on the 25th. It features 3 additional contents. Similar to the one mentioned above, it introduces a dungeon the Inner Sanctum. It also offers two brand new maps namely “Wealth before Health” and “Lords of the Grave” which promises to cater to players who do not mind taking on a challenge. On the same date as the second is the third pack Lost Altars which is pouring with 10 additional contents. True to its name, there are several Altars to discover. Not only does it have several dungeons to explore but it also promises to give players the opportunity to transcend their characters to new exclusive classes. About less than a month (1st of June) is the fourth revealed pack Rise of Deliverance. 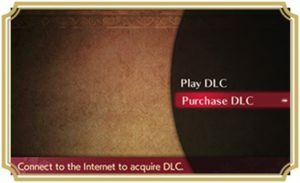 Otherwise known as the “Prologue” DLC, it serves to tell some backstory on Valentia’s roots. This is a precious pack that focuses on added story content that will be complete with new VA. It will even put the player in the shoes of new characters not available in the Main Story. Players who love to engage in the game’s lore are recommended to purchase this pack. There will also be a Free DLC known as Mila’s Bounty. Keep your eyes peeled for the release date as this limited-time offer will become obtainable in-game through the Goddess Mila. Although majority of its content is currently unknown, the DLC Pack (#5) revealed by Nintendo UK as the Cipher Companions promises to feature two added content which originates from the Japanese Trading Card Game “Fire Emblem Cipher.” These are most likely additional units to recruit such as Emma, Lando, Shade, and Yuzu. However whether these involve dungeons as most of the ones mentioned above or the story, they remain as questions. Dare to conquer them all? The Season Pass is available for a generous amount of $44.99, which offers all 5 DLC packs, that’s 22 additional contents in total! Doing the math this saves around $6.96 when compared to purchasing them individually.